The Island of Enchantment, Puerto Rico is the easternmost island of the Greater Antilles. The Puerto Rican Archipelago includes a number of islands and cays, the largest of which are Puerto Rico, Vieques, Culebra, and Mona. San Juan Harbor is one of the largest and best natural harbors in the Caribbean Sea. Puerto Rico has many rivers and streams but none are navigable by large vessels. More than a dozen man-made lakes have been formed along the main rivers. The coastline is 311 miles long and about 35% (1,900 square miles) of the Commonwealth is covered by water. What is Puerto Rico’s maritime heritage? The maritime heritage of Puerto Rico begins when the islands were first settled by people from South America, perhaps as early as 4,000 years ago. Archeological evidence indicates there was a Pan-Caribbean trade network among indigenous populations. When Christopher Columbus landed in Puerto Rico in 1493, the islands were inhabited by a group of Arawak-speaking people known as the Taino. Juan Ponce de Leon established a Spanish colony on the island of Puerto Rico in 1508. During the next 275 years, the Spanish fortified San Juan with massive city walls and fortifications to protect the harbor and the sea lanes between Spain and its colonies in the Americas. Because of its strategic location, the English tried three times (in 1595, 1598, and 1797) and the Dutch tried once (in 1625) to take control of Puerto Rico. The United States took possession of Puerto Rico in 1898, at the conclusion of the Spanish-American War, and has used various fortifications and islands as military posts, some of which are still in operation. Today, the Commonwealth of Puerto Rico is an unincorporated territory of the United States. Puerto Rico has been a seafaring hub for over 500 years and possesses a correspondingly rich and diverse number of sites underwater. Based on archival research, there are more than 200 shipwrecks in the waters of Puerto Rico. One of the oldest known sites is of a 17th century merchantman off the coast of Rincon. 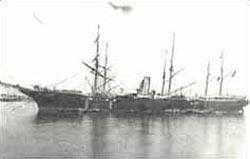 Three sites associated with the Spanish-American War are the SS Antonio López, the Manuela, and the Cristóbal Colón. The Antonio López was a blockade runner that was shelled by the United States Navy and grounded on a reef about seven miles west of San Juan. The Manuela and the Cristóbal Colón were scuttled by the Spanish to block the entrance channel to San Juan Harbor. In 1997, the Antonio López was designated as a National Historic Landmark. In 2001, the remains of the Manuela and the Cristóbal Colón were removed from the harbor for preservation prior to making improvements to the shipping channel, and placed near the Antonio López. Three sites associated with the United States military are a Boeing B-29 off Aguadilla, a patrol craft off El Desecheo Island, and an aircraft on Motor Reef off La Parguera. The wreckage of the B-29 may be the Army Air Force B-29 Superfortress that ditched after lift-off from Borinquen Army Air Field following mechanical trouble in 1945. The wreckage of the patrol craft may be a United States Coast Guard district patrol vessel, possibly the EM Dow that foundered in 1943. The wreckage on Motor Reef is a United States Navy or Army aircraft and may be a R4D Skytrain cargo aircraft or a PBY Catalina flying boat. Who takes care of Puerto Rico's underwater archeological sites? The Council for the Conservation and Study of Underwater Archaeological Sites and Resources has overall responsibility for underwater archeological sites under the jurisdiction of the Commonwealth of Puerto Rico. Attached to the Institute of Puerto Rican Culture, the Council includes representatives of the Institute of Puerto Rican Culture, the Commonwealth Department of Natural and Environmental Resources, the Commonwealth Historic Preservation Office, archeology professors from Puerto Rican universities, and experts in the field of underwater archeology. The Council works in cooperation with other government agencies and universities, and oftentimes undertakes joint projects to survey and investigate sites in Puerto Rican waters. You need a permit from the Council for the Conservation and Study of Underwater Archaeological Sites and Resources to conduct work at archeological sites in inland and coastal waters under the jurisdiction of the Commonwealth of Puerto Rico. Permits are issued for exploration and excavation, and for recovery or salvage. Applicants must submit an archeological research design and an environmental impact statement. Persons who are authorized to study underwater archeological sites must use the most advanced scientific techniques available to prevent environmental damage. What laws concern underwater archeology in Puerto Rico? In 1987, the Commonwealth of Puerto Rico enacted Law No. 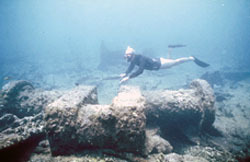 10, the “Act for the Protection, Conservation and Study of the Underwater Archaeological Sites and Resources.” The statute reaffirms the Commonwealth’s policy to conserve and maintain underwater archeological sites and resources within its jurisdiction for the benefit of its citizens, and creates the Council for the Conservation and Study of Underwater Archaeological Sites and Resources. The statute is codified in Chapter 93 of Part III in Title 18 of the Laws of Puerto Rico. The Council’s procedures for issuing permits are in Regulation No. 2. Related laws about archeological sites on land are codified in Chapter 95 of Title 18, and laws about the Historic Preservation Office are in Chapter 46 of Title 3.